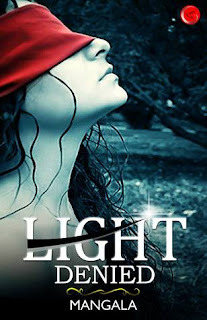 A simple story that could motivate and keep you emotionally attached with the protagonist, not because of her disability but because of her courage that was motivated in her by her world around in form of friends and family, is what comprises the overall plot of Light Denied. Light Denied is the story of ‘Mukhi’ who is blind since her birth. The problems she faces in daily life, her thoughts, her own world, her family and friends and most importantly, her fight with herself, is what the author has tried to portray with her simple and effective narration. The one character which stands out of the story is Mukhi’s grandmother. Her image would remain in your memory for sure even after putting the book back in the shelf after finishing it. The book never loses the grip over the audience, from start to finish. Though the plot is very simple but still the author’s magic has worked in keeping the hold. I would rate it 3.5/5 stars. Milton wants to question God as to whether God will still demand excellence of him even after taking away his eyesight. The heroine of story Viswathomukhi also has the same question to God. She strives and struggles in the society which sees disability as a liability and awards a negative value to it. We come across many examples of this kind in our daily life. We never lend our ears or hands to these people in our selfish and materialistic battle in life. The story revolves around loving grandparents, especially the mental strength of the granny, the beautifully woven friendship, the dedicated teachers and Mukhi’s struggle. Did she win her battle in life? Read this wonderful book to know the real meaning of humanity and love. Thanks a lot.Glad you enjoyed the book.It is all these reviews,comments and mails that make me hold my pen when I am on the verge of leaving it unattended .